There are a lot of email marketing tools which allow you to split-test the emails that help you extract a data about your subscribers. E-Mail Marketing is very important to build a personalized relationship with your website leads, prospects or existing customers. Instead of manually sending an email to your subscribers, it is always better you write a set of emails just once and send it to different people at different times when they expect it. That’s when email marketing automation comes into the picture. Automated e-mails let you personalize your marketing message in a way that is relevant to your subscribers. Automated emails are known to get 199% more click rates than any traditional broadcast emails. Also, the Return on Investment (R.O.I) for automated emails is exorbitantly high because your subscribers are receiving your email when it is on top of their mind and they are more likely to take an immediate action on it. A welcome response to a new subscriber is equivalent to a first impression which should be strong. When your website user signs up to receive a piece of content or a free e-book, for example; an automated message is the best way to acknowledge them. About 75% of people expect a welcome email once they subscribe. • 4 times more ‘E-Mail Open Rates’. • 5 times more ‘Click Rates’. A welcome e-mail should contain a welcome message while informing the reader what to expect, and finally ending on a high note with a special offer like a free e-book or a coupon. Segmentation is the process of dividing your customer base into relatively smaller groups, based on what they like about your products or services, and thus helping you target the right message to the right audience. With the help of email automation, you can create effective groups through self-segmentation. An example of a self-segmentation is an audience like you who is interested to know about email marketing. Now that I know your interest; I can segment you on the basis of your topic of interest and my action step would be to send you more such articles over your email. When the potential customers come to you, they are not ready to buy on the spot. Nurturing the subscribers to become customers is an integral part of the sales cycle. As much as 50% of the qualified leads aren’t ready to buy. Lead Nurturing allows you to track your subscriber’s engagement with your website and your content. You can set a trigger which sends those users, a right email at the right time when they interact with your content. You can set up automated email sequences based on your subscribers’ actions and consequently leads them to purchase. Whenever your website visitor clicks a particular link or downloads a piece of content (e.g e-book), you can program your email automation. This allows you to further nurture them while leveraging every opportunity to push your subscriber to make a purchase. For example, when a subscriber clicks and reads one of your articles, you can automatically send them a follow-up email about that topic and suggest other similar articles they might be interested to read. It is very important for a business to identify ways to retain their existing customers by building a relationship through automated email campaigns apart from acquiring new customers. About 80% of retail marketers indicate that email marketing is the greatest driver when it comes to retaining customers. Automated emails play a vital role in keeping the customers engaged. An effective retention campaign is the one that is capable to identify when your customers need to hear from you while delivering the optimum value to those. While you are looking for a reasonable email marketing service provider, you should be very careful. There is no point to end up paying a lot more money for fewer features. An ideal email service provider should help you create highly engaging emails. It also allows segmenting your target audience and helps you create a group. It also helps you track the performance of your automated email campaigns. Most importantly, a good email service provider makes sure that your emails do not end up landing in the spam folder of your potential target audience. Constant Contact has been a leading expert in Email Marketing for over 20 years. With Constant Contact, you can create effective email marketing campaigns to meet your business goals. It offers one month of the free trial on the product and following that, the plans start from just INR1289 per month. This email marketing service provider is pretty good when it comes to providing a reasonable service. The best part about Mailerlite is that it is free for the first 1000 subscribers. From 1001-2500 subscribers, it will cost $10 per month, and so on. This tool is also a good platform for bloggers, e-commerce and other businesses. Unlike Mailerlite, Drip offers a free trial account for up to 100 subscribers, and for up to 2500 subscribers, their plan starts from $49 per month. 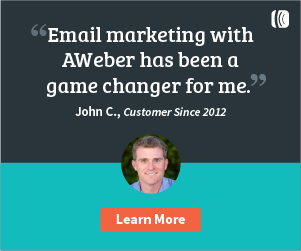 Aweber is the most popular email marketing service, provider. They offer a wide range of tools for small and medium-sized businesses to manage their email marketing. 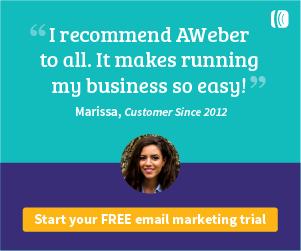 Aweber offers a 30-day free trial and following that, their pricing starts from $19 per month. Click on any of the banners displayed below to find an offer for you to get started!! MailChimp is also one of the most popular email marketing service provider. It allows you to seamlessly integrate with various content management systems like Magento, WordPress, Shopify and more. MailChimp offers a forever free plan wherein you can send 12000 emails to up to 2000 subscribers. Their paid plans start from $10 per month. As a digital marketer, you are responsible to drive effective email marketing campaigns that result in higher email open rates and eventually higher Click-Through-Rate. Almost every email marketing service provider offers either a free 1-month trial or offers free email marketing services up to some number of subscribers. 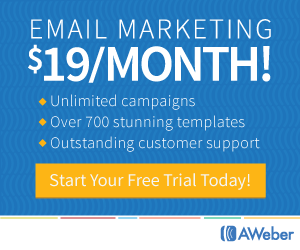 Go ahead and try any of the above email marketing services. Should you like to share another email marketing service provider, feel free to comment below. Thank you for stopping by.